The County's Weights and Measures Meters Division staff routinely inspect and test all measuring devices used commercially in the County. Devices inspected include retail motor fuel dispensers, propane dispensers, rental truck odometers, and taximeters. All complaints alleging short measure are promptly investigated. Utility Submeter program staff test electric, vapor, and water submeters used for commercial purposes at mobile home parks, apartment buildings, townhomes, condominiums, marinas, etc. 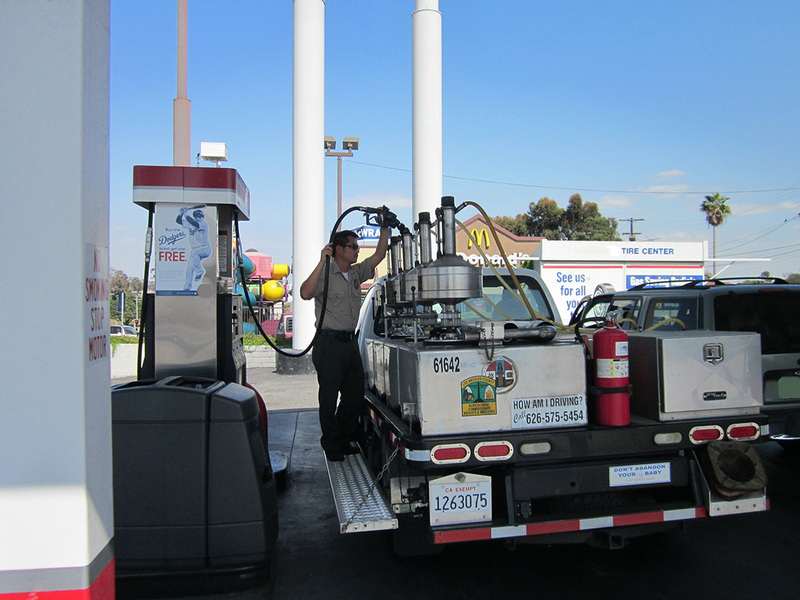 County weights and measures officials inspect and test various types of commercial weighing and measuring devices, including gasoline and diesel fuel dispenses. The pdf located below is a guide that will outline what you should do if your station has had one or more pumps removed from service and a red tag placed on them.